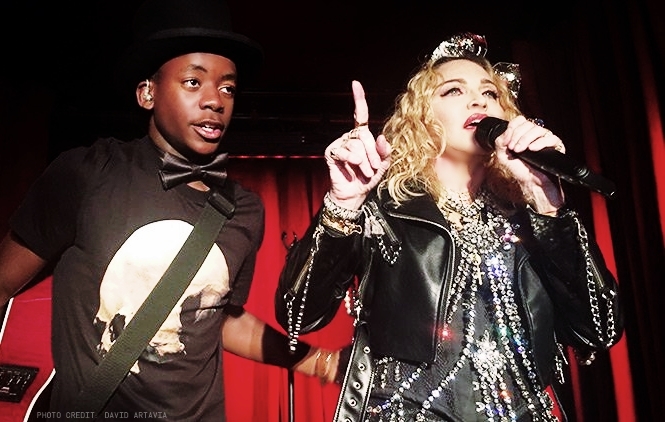 On January 1 2019, Madonna rang in the New Year with a surprise appearance at New York City’s historic Stonewall Inn. A heartfelt speech about the gay rights movement was followed by a sing-along performance of Like A Prayer and a cover of Elvis Presley’s hit, Can’t Help Falling in Love, with her son David Banda providing musical accompaniment on acoustic guitar. 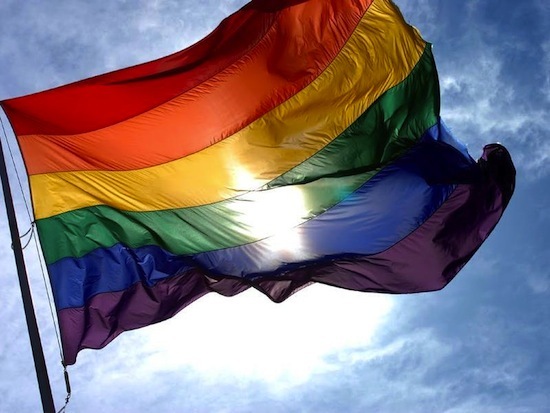 A half a century later, Stonewall has become a defying moment and a critical turning point in history, catapulting LGBT rights into public conversation and consciousness and awakening gay activism, giving birth to the civil rights movement of the 21st century. Now you can’t imagine how happy I am to return home, to New York City, my beautiful city, where dreams are born and forged out of fire and brought to life, where I am proud to say that my journey as an artist began, and my commitment to equality for all people took root. As a lifelong ally, I have had the privilege of using my art as a vehicle for change, to provoke, to inspire, to wake people up and to bring the LGBTQ community with me. There is so much destruction in the world, but you cannot stop art. And creation always wins in the end. So as we move forward, let’s not forget the work that we had to do from the ground up. We must never forget where we’ve been, the challenges and the road blocks along the way. We must never forget where we came from. This movement was born out of the need to survive discrimination and hatred. But why do people hate? Yes – fear of the unknown. But if we look and we truly take the time to get to know one another we will find that we all bleed the same color and we all need to love and be loved. When we stand here together tonight let’s remember who we are fighting for and what we are fighting for. We are fighting for ourselves, yes, we are fighting for each other, yes, but truly and most importantly, what are we fighting for? We are fighting for love! 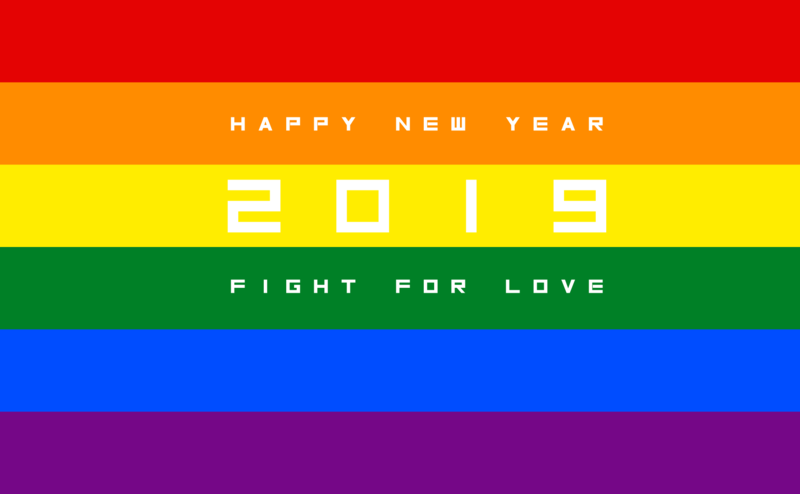 Thank you, people – we are fighting for love! So let’s take a moment to reflect on how we can bring more love and peace into 2019. In this New Year let’s commit to disarming people with unexpected acts of kindness. Let’s become more intuitive. Share what you know with someone you don’t agree with. Think about that. Try it. Get outside of your comfort zone. Let’s try to be more forgiving. Maybe we can find an opening to let the light come in. Let’s close up the distance between one human being and another. Performing in black lingerie with the words “No Fear” scrawled on her bare back, Madonna urged the audience – most wearing pink wrist bands distributed at the door – to “show your love and appreciation to the gay community”. “We want to fight for the right to be free,” she said. 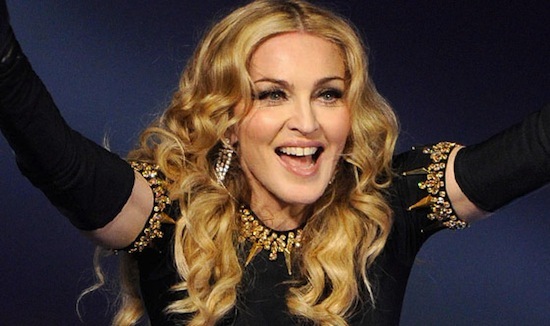 You can read thousands of messages from Madonna’s fans thanking her for her support of the LGBT community throughout her entire career, even when it wasn’t popular to be supportive of the cause. #2 – Love Is All Around: Macklemore (January 26, 2014): Macklemore, Ryan Lewis and Mary Lambert perform the gay-rights anthem Same Love with an assist from Madonna, while Queen Latifah makes history by performing a wedding ceremony for 33 diverse couples. Justin and I (Jay) want to wish you all a Happy World Pride!